In 1932 Art Rodda and Chet Peterson began Peterson/Rodda Paint Co. In 1934 Chet Peterson sold his stake of the company to Art Rodda. 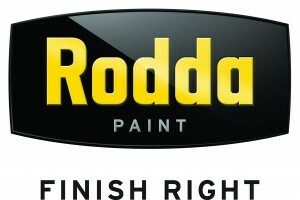 From then it was Rodda Paint Company exclusively. From that day to today, Rodda has kept to their core values of respect, integrity, innovation, and quality. They are as serious about their role as community leaders as they are about their paint. They partner with local schools and nonprofits like the United Way. In addition, they work closely with the City of Portland to help combat graffiti. With almost 20 stores in Oregon alone, and 8 in the Portland metro region, Rodda Paint needed a phone system that would scale easily. The corporate location was using a Merlin Legend system that was showing its age. Users were having voice and audio quality issues, difficult to change move extensions, add new phones. The unintuitive phones left some people stumped about how to create an ad-hoc conference call or how to even transfer a call. As he began to search for the right replacement phone system, David Lane and his team realized that they would have to replace all of the network switches. They were layer-2 and/or non-POE, and to handle a voice over IP solution, they needed layer-3, POE switches. Their biggest worries about transitioning to a new system revolved around user acceptance, voice and audio quality and faxing. Would the staff take to the new phones and desktop client? Would calls stay connected without random disconnects? Would the IP faxing protocols function as intended under the heavy fax load at the corporate office? Ease of management – a single interface to manage the phones, extensions, and queues for all locations. Simple user experience training that was introduced well prior to the actual system roll out, thereby ensuring a high level of user acceptance. Scalability that will allow Rodda to bring store locations on to the ShoreTel system as needed. A backbone of Ruckus wireless equipment to enhance the user experience within the corporate headquarters. Over the course of several visits, Matrix Networks performed a network readiness assessment, helped install the new switches, installed the ShoreTel, facilitated the network cutover, and troubleshot faxing issues. Matrix Networks provided comprehensive end user training, both before the system was installed, as well as during first day live, so that the employees felt comfortable and confident in using their new tools. Positive feedback has been resounding, with several users taking advantage of advanced features in Communicator like the individualized call handling recordings, ease of transferring calls, access to Voice Mail and Stored call history.